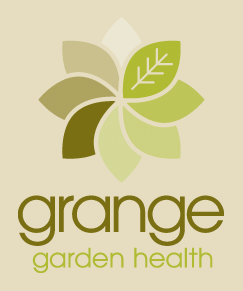 Grange Growing Solutions specialises in the manufacturing of growing media (potting mix) from their site at Ebenezer NSW. The site is accredited by the Nursery and Garden Industry of NSW & ACT and also quality assured by SAI global to the AS3743 standard for potting mixes. Our sales team is dedicated to service and treats all new and existing business with the same level of regard. We understand that every growing situation will vary and therefore react by individually designing a growing media that will suit the customer’s needs. We have a unique personalised computer software package that maintains all our individual customer’s formulas. This software enables our customer service team to quickly find historical data upon request. It will produce reports for our own stock control and provide information on our historical usage. Upon receipt of an enquiry we will visit your operation and make an assessment on what growing media would best suit your situation. Consideration will be given to how you are growing the type of plants you grow and what are your practices on watering, fertilising and spraying etc. A sample will then be constructed and providing the customer wishes to proceed, a trial will be advised. Throughout the trial we will track its progress and provide any relevant feedback at the time. Once the customer is satisfied that the trial has completed and if so wishes to continue we will prepare a quote with relevant technical informatiion. Please do not hesitate to contact our sales team on sales@growingsolutions.com.au or phone 02 4579 8333.